It’s a simple idea: A hospitality training solution that offers all the powerful tools of a top of the range Learning Management System, for a price that companies of any size can afford. But don’t just stop at the tool, make it readily available with truly effective, multilingual training videos. This way, managers of hospitality businesses can start training their staff immediately. “We’re beginning to solve a manager’s worst nightmare… Training a big group of diverse staff, in a short period of time. The challenges of the hospitality industry are quite unique, in that all employees are required to develop a range of soft and hard skills within weeks of joining a new company, and managers are the ones expected to deliver this training, on time and budget – but faced with seasonality challenges, this rarely goes to plan. And what’s at cost? Brand reputation – you can’t easily win back a disappointed customer.” Michael Azzopardi, Innform co-founder and CEO. The co-founders of Innform understood that the high price tag of traditional training programs and much of the eLearning services out there today, is a major barrier to many small and medium sized companies. A one-day seminar can cost a small company an average of £2000, not to mention refreshments, reading material and the biggest cost of them all: operational disruption. “Innform admins can unfreeze learner’s accounts months or years later. This is especially useful for seasonal staff who return to the company in busy periods, like the summertime.” Sebastian continues. With just £2 per person monthly, Innform customers will have access to everything eLearning under the sun: Readymade video training, CPD certified compliance certification, automated inductions, a fully-equipped authoring tool, detailed reporting and more. And here’s the great news: It’s all available on mobile, for both admins and learners. 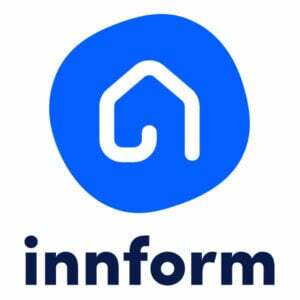 For customers who would like to try the hospitality training platform, Innform offers a free tier that supports unlimited learners. It’s a simple idea: A hospitality training solution that offers all the powerful tools of a top of the range LMS, for a price that companies of any size can afford. But don’t stop there, make it readily available with multilingual training videos.